“USA Gymnastics admires the courage of those, like McKayla Maroney, who have come forward to share their personal experiences with sexual abuse. Because of their strength in coming forward, predators can be held accountable for their actions. We, like so many others, are outraged and disgusted by the conduct of which Larry Nassar is accused. 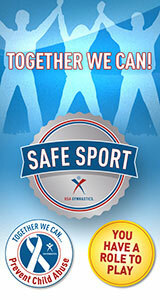 We are sorry that any athlete has been harmed during her or his gymnastics career.